LASIK, which stands for Laser Assisted In-Situ Keratomileusis, is used to correct nearsightedness, farsightedness, and/or astigmatism. 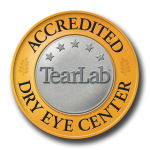 LASIK combines the use of a microkeratome and an Excimer laser. The microkeratome, a very precise surgical instrument, creates a thin flap of corneal tissue before the laser is used to reshape the underlying tissue. The flap is then returned to position and heals quickly without stitches. To treat farsightedness, the central cornea must be made steeper. This is accomplished by directing the laser beam to remove tissue from the periphery.